Only one hour but only with the best tunes, selected through hundred of weekly promos! A big return for a The-Zone ‘s brother! With time his musical tastes in a constant change have been refined, his sets in rigorus vinyl fill the atmosphere’s with have take off’s and infinite trips. An analog sound that creates dependencies. 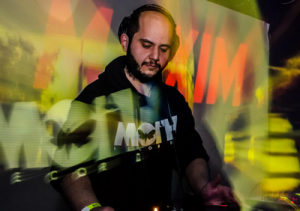 In this last year he collaborates in various parties Powered by Funktion-One (Mainframe Industry) and Turbosound (Evilsound) other than the important Calcatronica scene. Kenny Dahl, Fatima Hajii, Knobs, Giulio Maresca, Entropia, O.B.I. Aka Tobias Lueke, Pet Duo and Bas Mooy these are some of the artist he has played next to in the last period. At the last: Moth Records a new techno label with Knobs & Tuseth. Now out in stores, the best tunes presented in April, in 60minutes chart!